Just before my Christmas madness started, I decided to make myself a new coaster to use at my desk. 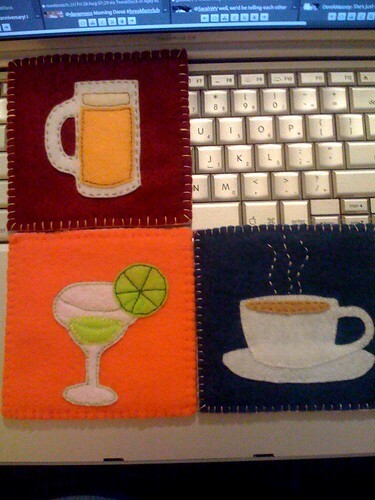 I mentioned it to my sister in law, and she suggested that we each make a set of coasters and then swap. Perfect! 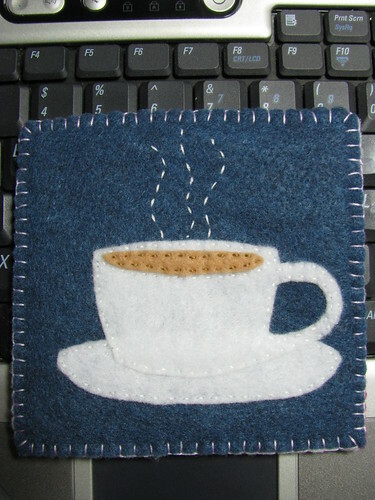 Since I’d plan to use this coaster for my coffee, I started with a little cup of creamy coffee cut from felt. I decided to just stick with a theme of drinkables. 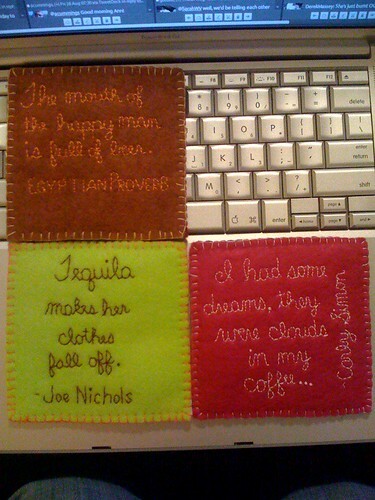 And a plain back just seemed unfinished somehow, so I stitched on a quote about each beverage on the back. I stitched them with an extra layer of thick felt in the middle to add stability and hopefully make them more absorbent. Here are the backs. If there had been a fourth, I think it would have been wine. This little crafty challenge was fun because we encouraged each other as we went along and we each ended up with a cute set of handmade coasters. Hopefully we can have another challenge in the future. You know, after the Christmas crafting madness is over.